Red wines include GenuWine Winery Crushed or Dried Grape Skins, which provide deep colour, chewy tannins, tantalizing flavours and complex aromas. White wines include select yeast strains that enhance varietal characteristics during fermentation to bring out the best flavours and aromas. 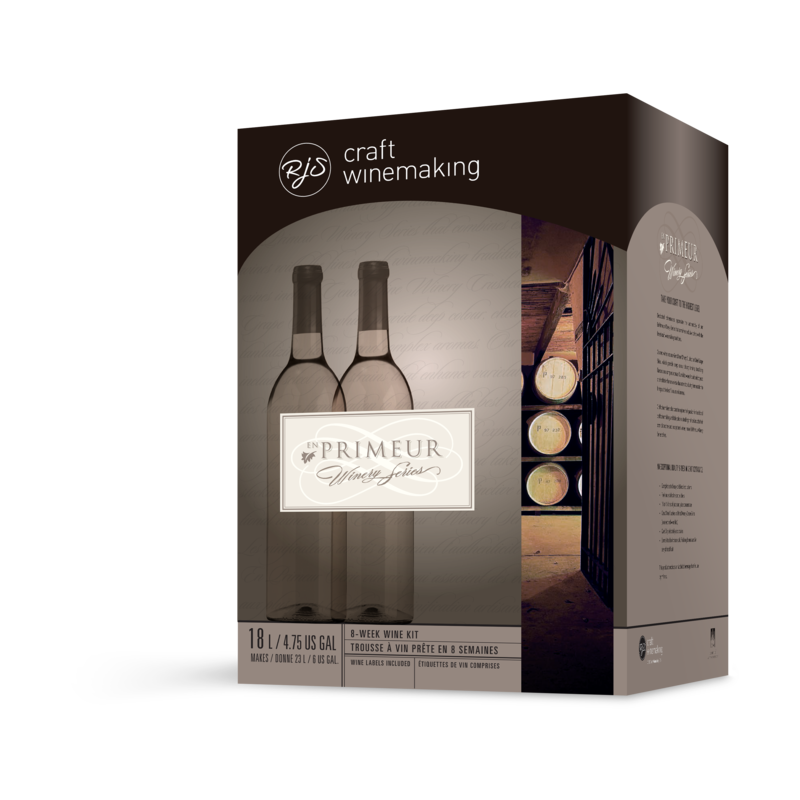 En Primeur Winery Series provides the most authentic craft winemaking experience, enabling you to craft age-worthy wines of distinction that will impress every wine connoisseur.Each kit contains 16 or 18 litres of superior quality varietal grape juice and concentrate that, in as little as 6 to 8 weeks, will make 23 litres of your very own distinctive craft wine. Cru Select wines are a treasure for wine enthusiasts looking to try new grape varieties and wine styles from around the world. Made from only the finest juice from the world’s best vineyards, our wines exemplify sophistication you can taste in every glass. From the noble golden Chardonnay to the alluring deep Cabernet Sauvignon, Cru Select wines have the right body, clarity and bouquet to satisfy even the most discerning palate. Our white wine selection ranges from full-bodied and oaked to refreshingly crisp and light. Select red wines include GenuWine Winery Dried Grape Skins, which provide deep colour, chewy tannins, tantalizing flavours and complex aromas. 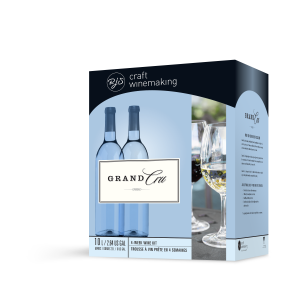 Each kit contains 16 litres of superior quality varietal grape juice and concentrate that, in as little as 6 weeks, will make 23 litres of your very own distinctive craft wine. Cru Specialty dessert wines satisfy every sweet tooth. 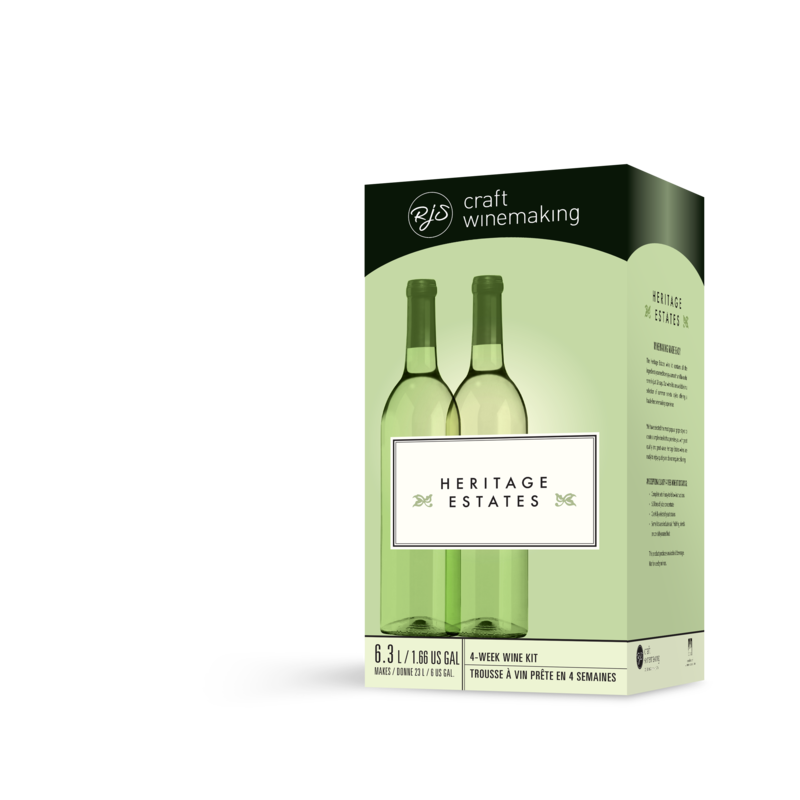 Craft winemakers who want to add that extra ‘something’ to their celebrations, or even to finish off a good meal right, always have a few bottles of Cru Specialty in their wine cellars. 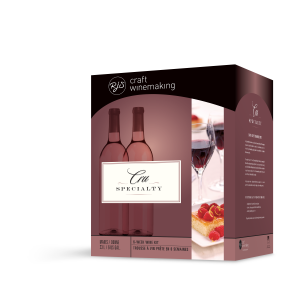 The smaller batch format of Cru Specialty kits makes just enough of these rich and complex specialty wines to satisfy your dessert cravings, and a few bottles left to gift to family and friends. With several dessert inspired flavours to choose from, create some truly extraordinary sweet wines for your cellar with Cru Specialty. Cru Specialty offers a decadent dessert wine experience – because sometimes special meals are only complete with something sweet. 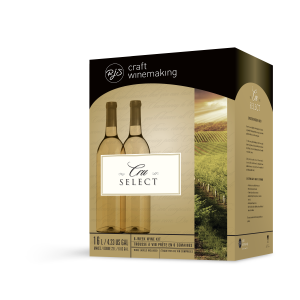 Each kit contains superior quality grape juice and concentrate that, in just six weeks, will make 12 litres of the most succulent dessert wines. Craft Winemakers who expect more from an everyday wine, and want to elevate their daily meals with international wine styles, enjoy drinking Cru International. These wines highlight the unique tastes of the most acclaimed wine styles of the old and new worlds. 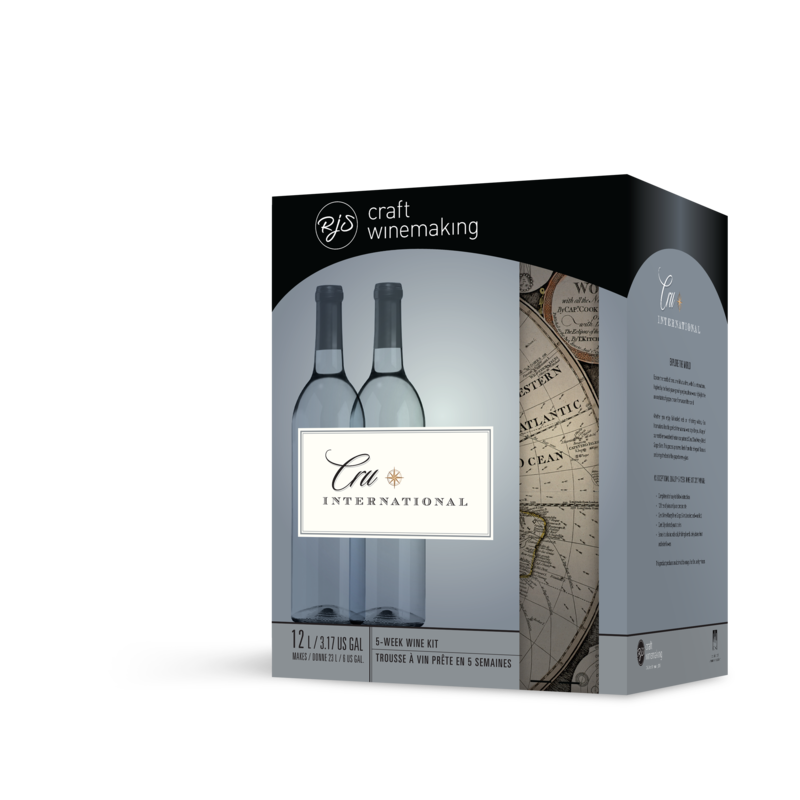 Whether you enjoy tantalizing reds or exciting whites, Cru International has the perfect international wine style for you. Many of our world-renowned red style wines feature our GenuWine Winery Dried Grape Skins. The patented process in which we preserve the grape skins brings ‘fresh from the vineyard’ aromas, and delivers the best flavours from the grapes to every glass. Each kit contains 12 litres of superior quality grape juice and concentrate that, in little as 5 weeks, will make 23 litres of your very own distinctive craft wine. Refresh yourself, and your guests, with the subtle fruit flavours of Orchard Breezin’ wines. Light in alcohol, perfectly balanced and not too sweet, Orchard Breezin’ is the perfect beer and wine cooler alternative. Sip your favourite Orchard Breezin’ wine during cherished moments of “me” time, or serve it to family and friends to make every social occasion extraordinary. Ready to drink in only four weeks, Orchard Breezin’ wines can be enjoyed chilled on their own or mixed with juices, sodas, and liqueurs to create crowd pleasing cocktails. 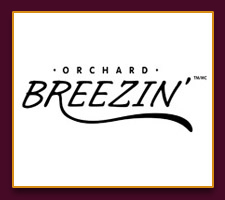 From strawberry to lime, Orchard Breezin’ offers a wide variety of fruit flavours that will appeal to every palate.